Wales has become the first place in the UK to adopt a groundbreaking approach to vital medical training. The new development aims to enhance standards of patient care and safety by raising the visibility of medical trainers and recognising their crucial role in supporting students and trainees. The All Wales Medical Trainer Agreement (Secondary Care and Undergraduate Education), which has just been launched, has been developed by Health Education and Improvement Wales (HEIW) in collaboration with Cardiff University School of Medicine and Swansea University Medical School. The initiative is another important contribution to the Welsh Government’s Train.Work.Live campaign, which promotes Wales as an outstanding location for individuals to forge careers in healthcare. The Agreement clearly defines the role, responsibilities and rights of individual medical trainers, HEIW, medical schools and NHS Wales health boards and trusts, contributing to greater consistency and transparency in the provision of education and training across Wales. HEIW Medical Director, Prof Pushpinder Mangat, said: “I am delighted with the launch of the All Wales Medical Trainer Agreement (Secondary Care and Undergraduate Education). Wales is the first in the UK to adopt this single harmonised approach to recognition of trainers, demonstrating our commitment to collaboration across medical education and training in Wales. Incorporating the trainer roles in secondary care and undergraduate education subject to General Medical Council recognition, the Agreement is fundamental in meeting education organisers’ responsibilities and recognising trainers’ status in Wales. To make the approach as easy as possible to use, a new online system - Trainer Agreement Gateway (TAG) - has been developed. The system will also offer ease of monitoring and reporting to the General Medical Council. The three education organisers in Wales are Health Education and Improvement Wales, Cardiff University School of Medicine and Swansea University Medical School. 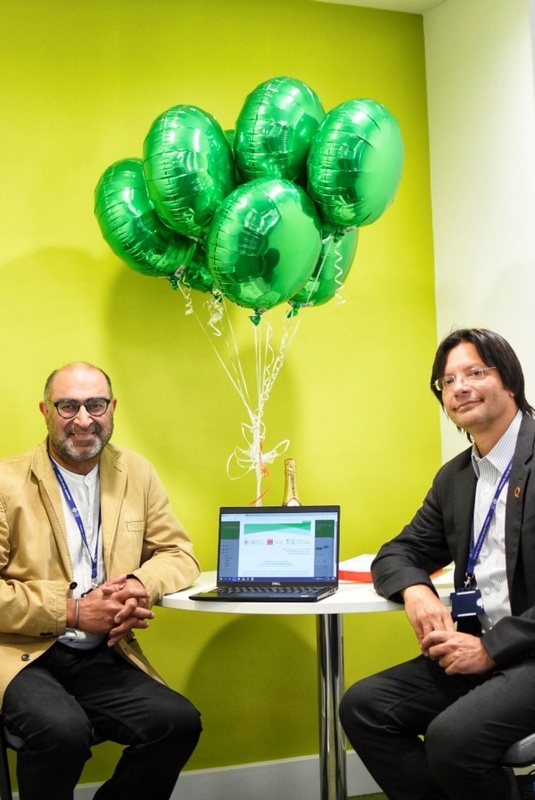 Picture attached shows Prof Pushpinder Mangat, Medical Director, HEIW and Dr Anton Saayman, Sub Dean (Postgraduate Education Support and Quality Improvement Skills Training), HEIW. Find out more about the All-Wales Medical Trainer Agreement (Secondary Care and Undergraduate Education) here. Health Education and Improvement Wales (HEIW) was established on 1st October 2018. It is a special health authority within NHS Wales created by bringing together three key organisations for health - the Wales Deanery, NHS Wales’ Workforce Education and Development Services (WEDS), and the Wales Centre for Pharmacy Professional Education (WCPPE). Sitting alongside health boards and trusts, HEIW has a leading role in the education, training, development and shaping of the healthcare workforce in Wales. Its key functions include: education and training, workforce development and modernisation, leadership development, strategic workforce planning, workforce intelligence, careers, and widening access.